Chris Christie’s 2014 is off to a rough start. 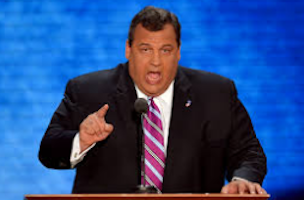 He has already been accused of being involved in more than enough political scandals, but now The Newark Star-Ledger, which had endorsed Christie for governor, has announced that it “regrets” supporting him. Whatever that has been happening to you in these first two months of 2014, it can’t be as bad as what Christie has gone through. First, his administration was accused of closing several GW bridge lanes as retribution for a political snub. Then, Hoboken’s Mayor, Dawn Zimmer, claimed that Christie had threatened to withhold Hurricane Sandy relief funds unless she supported one of Christie’s projects. And if that wasn’t enough, an ex-Port Authority official said Christie knew about the GW lane closings, despite Christie’s insistence that he didn’t. Yeah, we’d say that’s enough to make the Star-Ledger retract that endorsement.